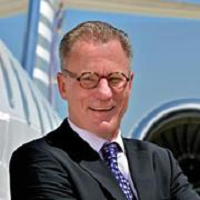 After 37 years as Airline Training Captain and Senior Executive in the Aviation industry, Tilmann Gabriel joined City, University of London to head the MSc Aviation Management programmes (3). A fourth MSc Airport Management is in the final approval process to start its first year in 2017/18. With over 400 enrolled part-time students from the aviation industry and over 1500 Alumni, City has a key executive education responsibility for the future Aviation Leaders in the world. All 4 MSc programmes are offered in London, Dubai and Frankfurt. Gabriel, T. (2017). Ryanair crisis: aviation industry expert warns 600,000 new pilots needed in next 20 years. The Conversation. Royal Aeronautical Society: Maintaining Pilot Recruitment and Training Standards. (Conference) London, UK (2017). Session/Day Chair and Panel Member. Invited speaker.